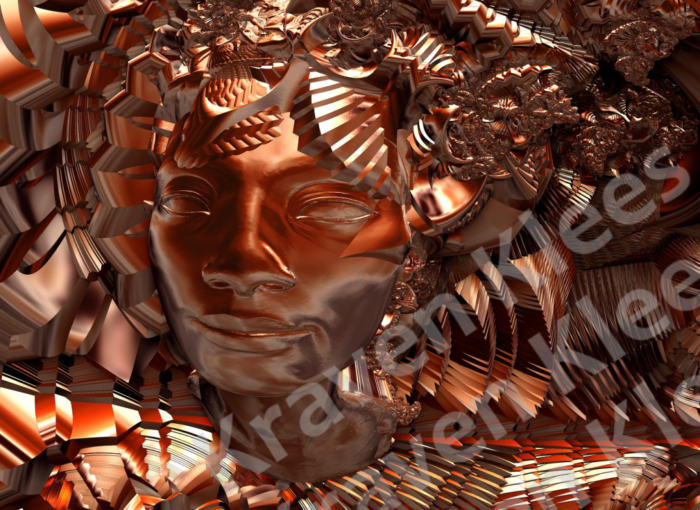 If you are looking for that special piece to compliment your home and find your tastes run to fractal imagery, then this is a must see. 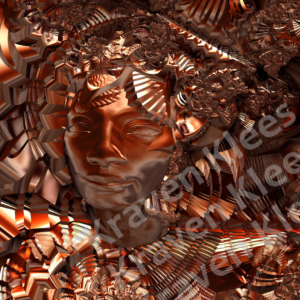 Kraven Klees creates media artworks, fractals, photos and mixed media artworks. By applying abstraction, Klees investigates the dynamics of landscape, including the manipulation of its effects and the limits of spectacle based on our assumptions of what landscape means to us. Rather than presenting a factual reality, an illusion is fabricated to conjure the realms of our imagination. His media artworks establish a link between the landscape’s reality and that imagined by its conceiver. These works focus on concrete questions that determine our existence. By exploring the concept of landscape in a modern way, he tries to increase the dynamic between audience and author by objectifying emotions and investigating the duality that develops through different interpretations. His work doesn’t reference recognizable form. The results are deconstructed to the extent that meaning is shifted and possible interpretation becomes multifaceted. By examining the ambiguity and origination via retakes and variations, he creates intense personal moments masterfully created by means of rules and omissions, acceptance and refusal, luring the viewer round and round in circles. Attended the Opening of the Art exhibit and it was awesome! Not only was the artwork fantastic but the party was out of this world. Great Job Kraven and Denali!